This custom order was made for Leilani's 2nd Birthday "Gymnastics" party! 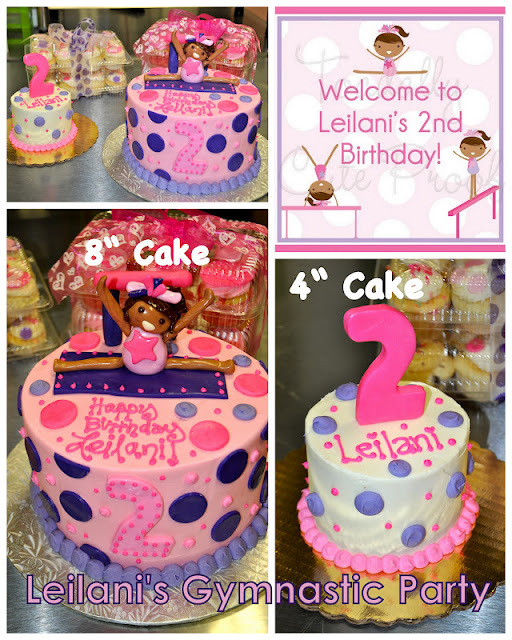 She had her own little personal 4" cake, and an 8" strawberry cake for the rest of the party goers with a fondant Leilani on top doing the splits! There was also 2 dozen mini cupcakes and 1 dozen standard cupcakes made with matching fondant toppers! This super fun 6"cake was made for Nathan's first birthday party and used as his smash cake! The monster was made from a 6" chocolate cake and covered in orange buttercream "fur", the rest of the details are fondant. 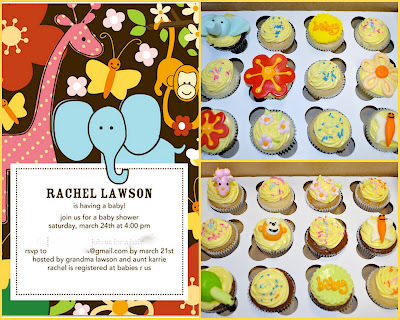 Here was 2 dozen baby shower cupcakes made to match the invitation! 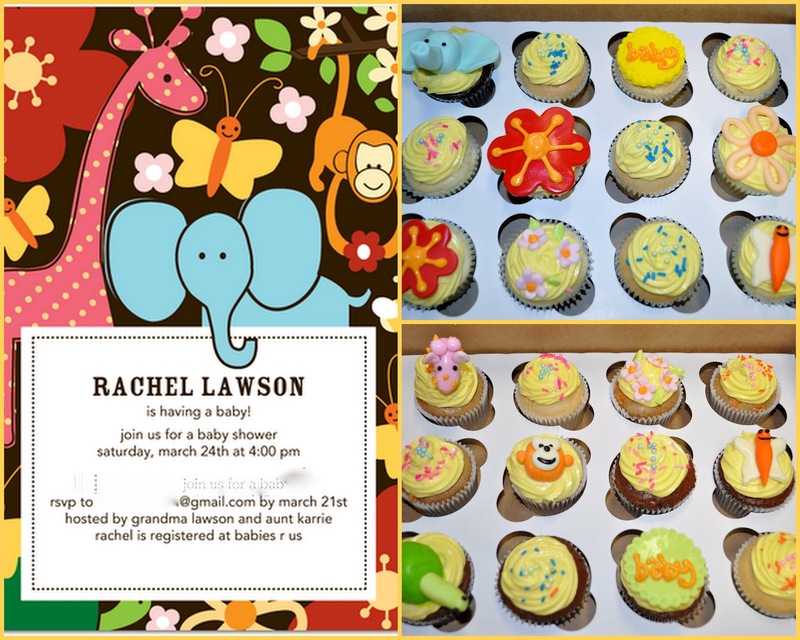 I love projects like this because they make your party that much more personalized! 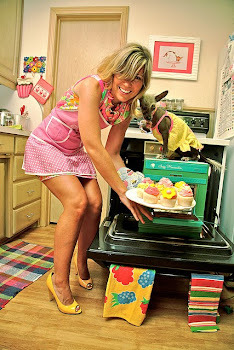 The cupcakes were carrot, vanilla bean, almond, and chocolate. 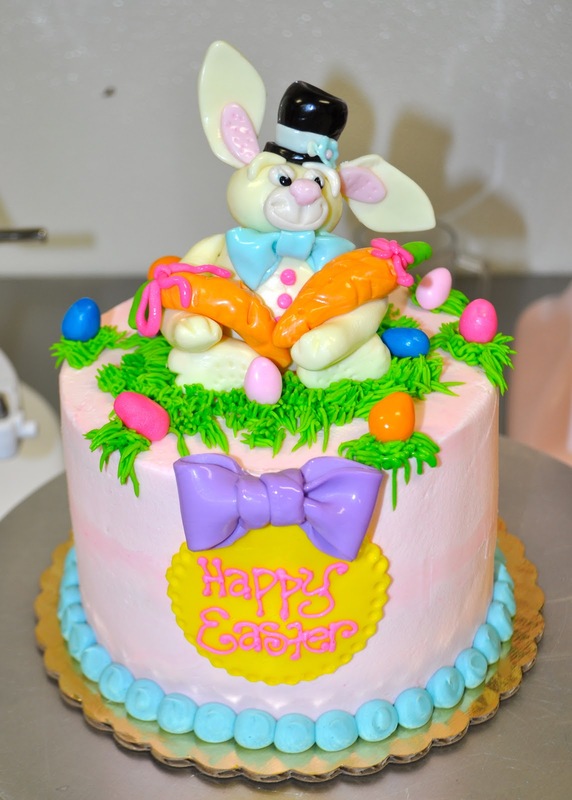 I love this little Easter cake! It is a 6" almond cake with buttercream filling and pink buttercream frosting with a little fondant easter bunny on top! 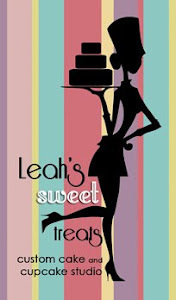 This is our signature cake at Leah's Sweet Treats. These are available for purchase every day. 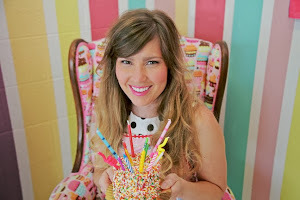 It is a 6" confetti cake with buttercream filling and frosting and covered in rainbow sprinkles. How cute is that!??! 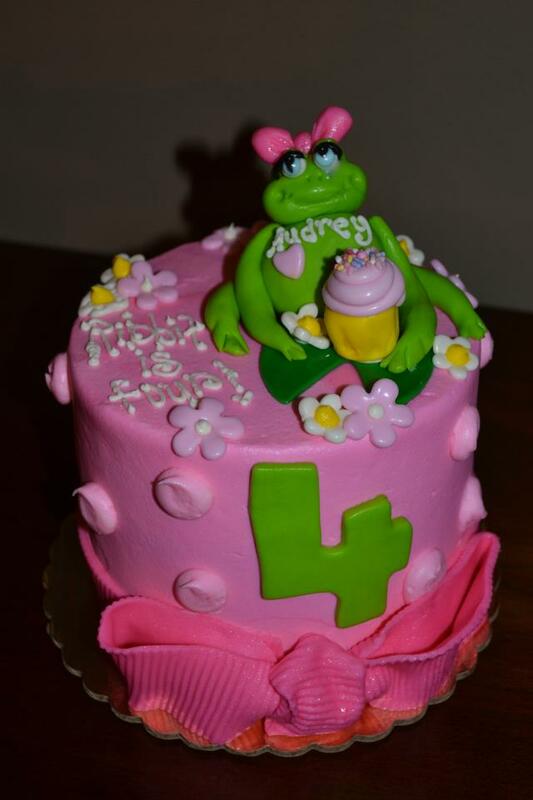 This frog cake was also for Audrey's birthday celebration! It is a 6" confetti cake with buttercream filling and pink buttercream frosting. The frog, bow and flowers are all made from fondant. These cupcakes were made for Audrey's 4th Birthday. They are one dozen confetti cupcakes with buttercream frosting and Hello Kitty fondant toppers! 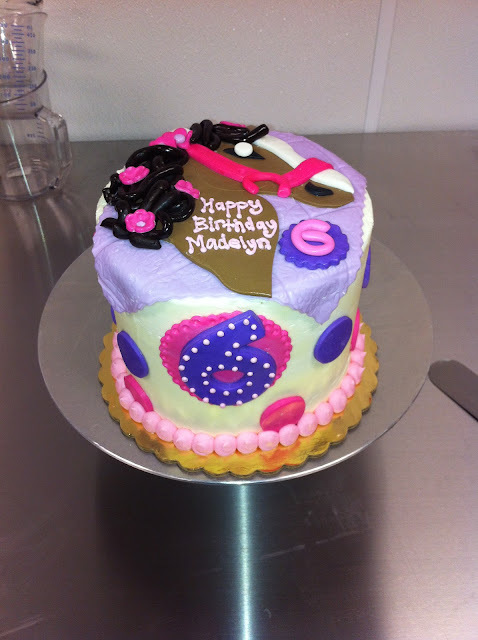 This Horse cake was made for Madelyn's 6th Birthday. It is a 6" peanut butter chip cake with chocolate buttercream filling and buttercream frosting. The horse is made out of fondant. 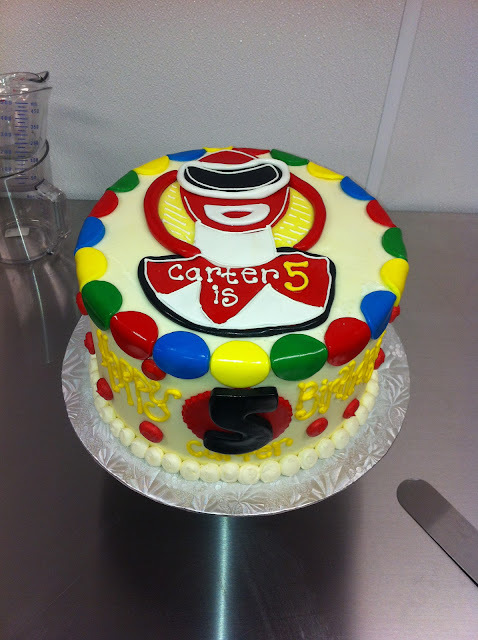 This Red Power Rangers cake was made for Carter's 5th Birthday! It is a 9" white cake with buttercream filling and frosting and red fondant power ranger on top. These cupcakes were made for Kirsten's 21st birthday celebrations. The flowers were to match the decor and color scheme! 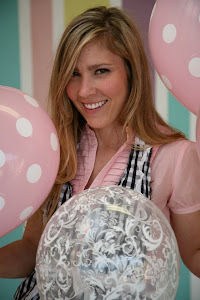 The cupcakes were three dozen strawberry and chocolate with buttercream frosting and fondant daisy and "21" toppers. These were 2 dozen cupcakes, half vanilla bean half strawberry/chocolate marble. The Peacock feathers were made from fondant and hand painted.